If you have a serious food allergy and your doctor has recommended it, the most important action is to carry an epinephrine auto-injector at all times. 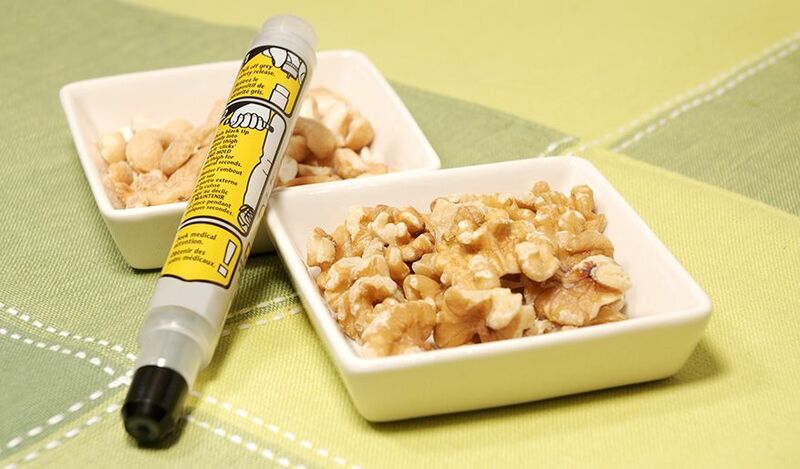 If you mistakenly come into contact with an allergen and you begin to have an allergic reaction, also known as anaphylaxis, access to an epinephrine auto-injector is vital. However, there are various steps and strategies you can use to prevent having to administer medication. Strict avoidance of products containing allergens is essential, but not always that easy. Be wary of accidentally contaminating food when cooking. If you keep ingredients you are allergic to at home for other family members, keep them in a special place in the kitchen. It is also very important to keep your food preparation areas and cooking utensils clean and allergen free. Another helpful tip is to color code your cutting boards and separate any kitchen tools that may be used by other members of the family. Always make sure that family and friends are aware of your food allergy so that if you are sharing food or eating in their home they do not mistakenly give you food containing allergens. It’s also a good idea that your close family and friends know how to use an epinephrine auto-injector in the case of an emergency. Wearing medical identification can help make emergency responders or people around you aware of your food allergies. If you do go into allergic anaphylaxis, those helping you will be able to identify the problem a lot quicker if they see your identification. For example, it is possible to get customized bracelets that indicate your allergy or a specially-made card you can carry in your purse or wallet. Understand what causes COPD and five ways to cope with it.